While vacationing on the beach on St. Martin in December of 1982, Moser was watching storm clouds gather and take the shape of a great round face (specifically the shape of his old friend and bookseller, Gordon Cronin) and that’s when he chose it for his next project. He was drawn to the comparison of Alice, the privileged Victorian born to wealthy parents, and Dorothy, the poor orphan from the barren Midwest. He considered Dorothy to be an “American Alice.” The comparisons continue as Alice is drawn down a hole to a fanciful world, and Dorothy sucked up a hole to an equally fanciful one. Moser continues using well-known figures as models to add glosses of new meaning. Ronald Reagan as the “humbug wizard”, CIA director William Casey as king of the Hammerheads, and Chrysler CEO Lee Iacocca as Oz as the Great Head to name a few. And of course Madeline Moser as the model for Dorothy. 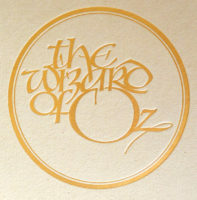 Go here to see available engravings and sketches from The Wizard of Oz. Please contact the gallery for pricing and availability of Pennyroyal Fine Press Books. Sixty-two wood engravings. Printed in five colors by Harold P. McGrath in Van Dijck on Mohawk Letterpress. Calligraphy by Yvette Rutledge. Limited to 350 signed and numbered copies. 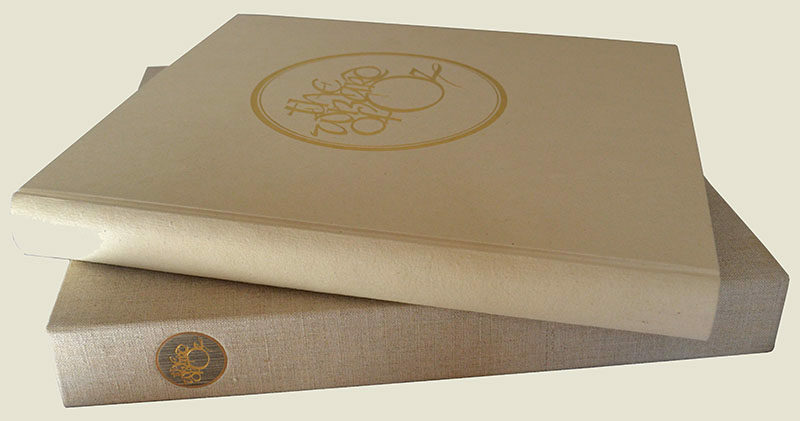 Bound by David Bourbeau at the Thistle Bindery in Barcham Green Dewing paper over boards with linen reinforcement. 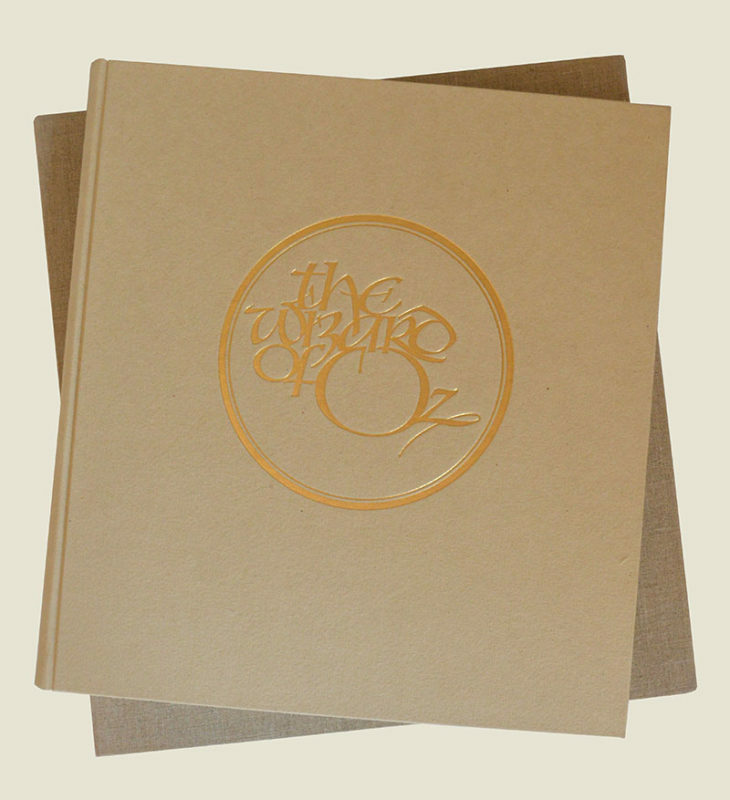 Gold-stamped embossed cover design. Laid in a cloth traycase.